TINIAZOL Auxiliar Tratamiento Para La Caspa Anti Dandruff Shampoo 120 ML ! Auxiliar En El Tratamineto De La Caspa. Indicado En El Tratamiento De La Dermatitis Seborreica Cuando Se Demuestra La Presencia De Pityrosporum Olave O Malassezia Furfur. 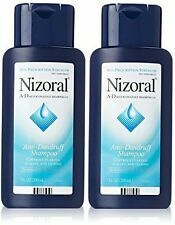 You will receive 2 of the Nizoral A-D Ketoconazole Anti-Dandruff Shampoo, 7 oz. On occasion, manufacturers may improve or change their product formulas and update their labels. Weight: 20.89 oz. The freedom will go to your head. Classic Lipogaine Big 3 Hair Loss Prevention Shampoo Apply shampoo again, gently massage into hair and scalp for 1 minute. Leave shampoo in for 3-5 minutes before rinsing. Emu oil, polyquart-10, pro-vitamin B5, Vitamin-B6, Red clover Extract, nettle extract, caster oil, essential oil, Zinc oxide, phenoxyethenol, peppermint, polysorbate-20. Indicaciones terapeuticas: El Sistema GB (fase inicial) esta indicado como estimulante del crecimiento capilar en individuos con Alopecia Androgenica. Auxiliar para casos de adelgazamiento del cabello disminuyendo asi, su caída. Androgenic alopecia. The most common fall or loss of hair known as androgenic alopecia, where hereditary or hormonal factors cause the hair to thin, weaken and finally fall out. These fungi (particularly the P. ovale), are believed to produce dandruff and dermatitis. Regenepure DR is a powerful hair shampoo with nourishing ingredients that will properly cleanse and prepare the scalp to absorb the nutrients from the NT and Biotin Conditioner. Regenepure DR is also made with the soothing ingredient aloe vera. SISTEMA GB SOLUTION ALOPECIA 60ML & SHAMPOO #2 HAIR LOSS TREATMENT Combo. Condition is New. Shipped with USPS First Class Package. Ketocip by cipla Ketoconazole 1% w/v Topical Anti Dandruff Shampoo 100ml. How Ketocip Shampoo works. 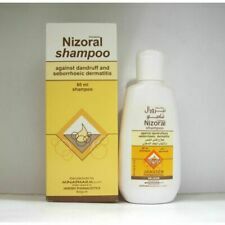 Purify The Scalp From Dandruff And Prevents Dandruff Formation. Apply The Shampoo On Damp Hair And Gently Massage. La Bourse Essential Tonic Shampoo is made out of natureal Ginseng, D-Panthenol and Vitamins incl. the very effective Witchazel and Horse Chestnut Extract. Stimulates cells act as protection against hair loss and strengthen the hair. Ketoconazol 2% Dandruff Shampoo Scalp ITCH~4OZ. Condition is New. Shipped with USPS First Class Package. DetailsA-D Ketoconazole Shampoo 1%Controls Flaking, Scaling amp Itching | The Freedom Will Go To Your HeadDirectionsAdults and children 12 years of age and over:Wet hair thoroughlyApply shampoo, generously lather, rinse thoroughly. Repeat.Use every 3-4 days for up to 8 weeks if needed, or as directed by a doctor. Then use only as needed to control dandruff.Children under 12 years of age: Ask a doctor.Other Information: Store between 35-86 degrees F. Protect from light.Protect from freezing. WARNINGS:Do not use:On scalp that is broken or inflamed.If you are allergic to ingredients in this product.When using this product:Do not get into eyes. If product gets into eyes, rinse thoroughly with water.Stop use and ask a doctor if:Rash appears.Condition worsens or does not improve in 2-4 wee. A pleasantly scented shampoo with antiseptic activity (antibacterial and antifungal) designed for dogs, cats and horses with dermatological conditions responsive to chlorhexidine and ketoconazole. Chlorhexidine Gluconate 2% and Ketoconazole 1%. New Keto-C Ketoconazole 1% Chlorhexidine 2% Shampoo (8 oz), Dog Shampoo by Stratford Pharmaceuticals. 100% hassle-free. If you have any issues whatsoever with your order, simply let us know and we’ll do everything in our power to make it right. May be used on dogs, cats, and horses as directed. Good health begins with VetWELL. Convenient Shampoo Gets Into Hard to Reach Areas and Stop Problems before They Get Worse. SAFE, TRUSTED and MADE in the USA: Every batch is made locally, in Federally Inspected Labs and Tested to Ensure Your Dog Stays Safe and Enjoys a Longer, Happier Life. The shampoo may be used on dogs, cats and horses. Convenient Shampoo Gets Into Hard to Reach Areas and Stop Problems before They Get Worse. If you did not receive our reply. ANTISEPTIC ACTION: Cleans Superficial Cuts, Abrasions and Insect Bites to Soothe Your Pet and Stop Discomfort and Itching. The shampoo may be used on dogs, cats and horses. Convenient Shampoo Gets Into Hard to Reach Areas and Stop Problems before They Get Worse. SAFE, TRUSTED and MADE in the USA: Every batch is made locally, in Federally Inspected Labs and Tested to Ensure Your Dog Stays Safe and Enjoys a Longer, Happier Life. Active Ingredients: Chlorhexidine 2%, Ketoconazole 1% For Veterinary Use Only. LONG-LASTING FORMULA: Just a little dab of our advanced veterinary formula is all you need each bath because our antiseptic dog shampoo is concentrated and will create a rich lather, leaving your furry animal friends (your dog, cat, or horse) super clean and their skin feeling soothed.